The Comal is an essential tool used in many applications such as in preparing tortillas, toasting spices, and roasting vegetables. Length 22in, Width 22in, Height 2.25in and Diameter 22in. 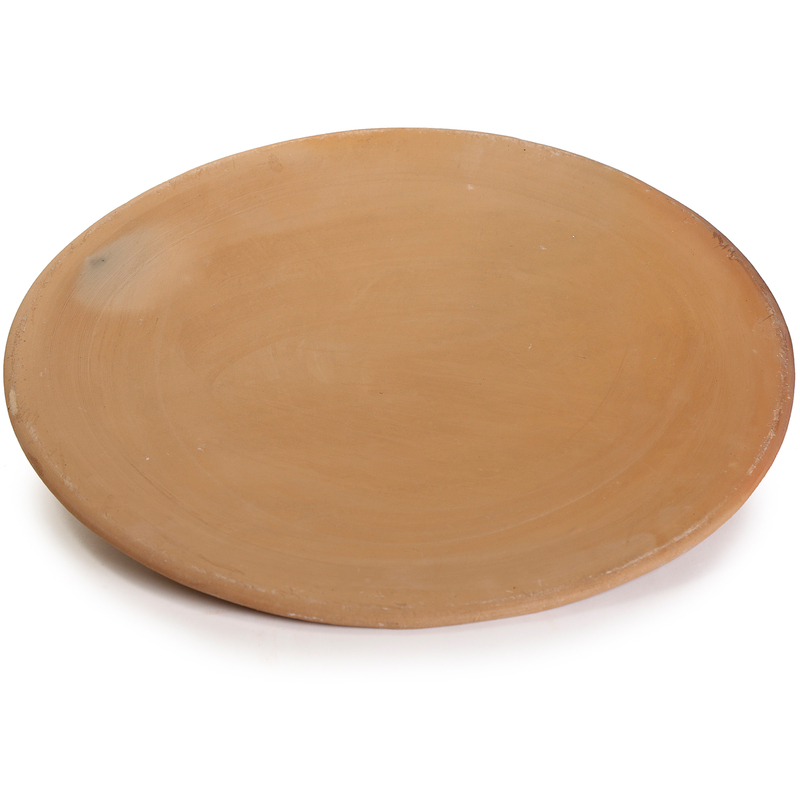 Most Comals sold in the United States are made of Cast Iron, but these are authentic clay Comals made with natural untreated clay (comal de barro) and coveted for their slow heat distribution. With use, the Comal becomes seasoned and like cast iron skillets or woks, they give food that little extra hint of flavor. Will last many years with proper use and care (each piece comes with a product information sheet outlining the Uses and Care for the product). Completely natural and safe, contains no toxins or lead.